The advertisements have made us to believe that for cleansing our face using soap based cleansers is a must. However, the latest trend in the skin care regime, the oil cleansing method, completely negates this claim and proposes a rather opposite way for deep-cleansing the skin. If you are looking for the right skin cleansing method that will solve most of your skin problems, instead of spending on expensive face washes check out this Guide To The Oil Cleansing Method. It is really hard to believe but is a complete fact that the reason of most of our skin problems are the skin care products that we use. No matter how expensive a face wash you are using for cleansing your skin, it is sure to leave your skin dry or over oily with time. The problem is that, the face washes are always formulated with soap and alkali based ingredients that reap off the natural oil produced by the skin. Oil is naturally produced by the skin as a barrier from the harsh environment. Oil production is the natural mechanism of our skin to protect it and to keep it soft and supple. As the face washes reaps off the natural oils completely, the skin either becomes completely dry or starts producing more oil to compensate the oil loss. This leaves dry skin even drier and the oily skin fighting with the problem of more oils. The Oil Cleansing Method or the OCM works in the total opposite way for deep-cleansing the skin. It uses the oil attracts oil concept to clear off not only the excess oil produced by the skin, but also the dirt, grime, pollutants and makeup that might be stuck in your skin pores. You can use the oil cleansing method for best results irrespective of your skin type and you are sure to see the changes. A proper oil cleansing can give your skin maximum cleansing effects without any side effects. If you have oily skin and you are afraid of using more oil on your face, keep in mind that oil alone never causes pimples or zits. When pollutants and impurities get stuck into your skin pores along with oil, then only you start developing different skin complications. So, while using oil as a cleanser you really need not to worry about adding more oil to your already oily skin. The oils used in the oil cleansing method, dissolves the oil that has become hardened with impurities and have got stuck in your skin pores. Once the hardened oils and impurities are dissolved by the oil massaged as a part of the oil cleansing method, it becomes much easier to remove all the excess oil, dirt and grime without harming the natural oil balance of the skin in anyway. The best way to use Oil Cleansing method is to use it along with mild steaming. This will open up the skin pores and make the deep-cleansing more effective giving your skin rid of the stuck up dirt and grime completely. Having elaborated on how Oil cleansing works to give you deep-cleansing effects, now we will present you with the detailed Guide To The Oil Cleansing Method. Before you can start oil cleansing it is important to know your oils first. For cleansing the skin with oils you need to use at least two different oils. The base oil to be used for the purpose should be thick while the other oils should be thinner in consistency. Castor oil is considered as one of the best base oils for the Oil Cleansing methods particularly because of its ability to dissolve more or less every type of oil, dirt, grime and makeup present on the skin. The best thing about castor oil is that it is very thick in consistency and it has natural properties to improve the skin texture. Castor oil also has skin healing properties and it always leaves the skin in a better condition than before. You can use different thinner other oils as the second constituent of the oil mixture to be used in Oil cleansing. You can easily pick sunflower seeds oil, olive oil, avocado oil or argan oil to mix with the base oil. However, make sure that this oil is thinner and lightweight in consistency as it will be used to dilute the thick castor oil. You should pick this thinner oil according to your particular skin needs. Sweet almond oil – Sweet almond oil can work on all the skin types when used in Oil Cleansing Method along with Castor oil but oily skin in particular will get more benefit from it. Avocado oil – Avocado oil is particularly beneficial for very dry and aging skin. If you are suffering from problems like fine lines, wrinkles and sagging skin, use avocado oil along with castor oil in OCM. Olive oil – Olive oil can be used in OCM for any skin type. It suits all the skin well and provides a great dose of Vitamin E to the skin. Argan oil – Argan oil is one of the most expensive oils around. It can suit all the skin types but is most beneficial for the aging skin. Using argan oil in your regular Oil cleansing can transform your skin noticeably. Sunflower seed oil – Sunflower seed oil is a very lightweight oil with loads of nutrients. It will suit all the skin types equally. Grapeseed oil — Grapeseed oil is suited best for oily acne prone skin as it also helps to kill the bacteria causing the infections in acne. Evening primrose oil – You can use evening primrose oil in oil cleansing method along with other oils to treat aging skin. In the Guide To The Oil Cleansing Method one of the most important section is the preparation of the oil to be used in cleansing. While it is important to pick the right oils to get the best results from this process, it is also vital to use the two oils in the right percentage to get the best effects from this method. Normal Skin – You should use not more than 20% castor oil for OCM. Use Sunflower seed oil or any other oil according to your skin need with castor oil. Dry skin – Girls with dry skin should not use more than 10% castor oil in the OCM oil mixture. Add 20% olive oil and 60% avocado oil along with the castor oil to get a nourishing oil mixture for OCM. Oily skin – Oily skinned girls should use at least 30% Castor oil in their oil mixture. Combine it with sunflower seed oil or sweet almond oil or both according to your needs. Acne prone skin – For acne prone skin the best oil mixture for OCM should include 20% castor oil along with 40% grapeseed oil and 40% olive oil or sunflower seed oil. Aging skin – The OCM oil mixture recipe for aging skin should not include more than 10% castor oil. Add 40% Avocado oil, 20% Argan oil and 30% evening primrose oil to prepare the final OCM oil blend. Apply the oil blend directly to your face in excess. Use this oil to massage your skin in light, circular and upward motion. The massaging should not be rigorous but relaxing. Make sure that you use excess oil for the process and continue the massaging for at least 5-8 minutes so that a good part of the oil has been absorbed into the skin. This will dissolve not only the grime and dirt on your face but also the makeup, sunscreen, concealer or any other product that you might have applied on the skin. It can even easily take out the waterproof eye makeups. Make sure that you cover the whole of your face with the oil blend in excess. Once you are done, move to the next step. Take a soft and clean wash cloth and soak it in steaming water. Wring out the excess water, check the temperature and place it on your face. Make sure that steam is still coming out of the cloth, but it should not be too hot which can scald the skin. Leave the cloth on your face till it is warm. Once it has cooled, remove the washcloth and wipe your face with it gently. Make sure that you do not scrub or rub your skin hard to take off the oil completely at one go. If you have used more castor oil in the oil blend, you will need to repeat the steaming process. Use the steamy washcloth once again to make sure that all the excess oil along with the impurities has been cleaned off. Castor oil is removed easily with warm water. Hence even if you have used 30% castor oil, you will get rid of the excess oil by the second wipe with the washcloth. Once you have completed the Oil Cleansing, it is best to not to apply anything next on your skin for at least another 15 minutes. After that, you can follow with your regular night cream. It is important that you use the Oil Cleansing Method only at night before going to bed. Once you have used OCM for deep-cleansing your face at night, you need not to wash it again in the morning. A splash of lukewarm water will be sufficient to get fresh glowing skin the next day. It is a completely natural process of skin cleansing and includes no chemicals. Hence is free from side effects. Oil cleansing is great for your skin. It will make your skin soft, supple, healthy and glowing with regular use. Oil cleansing saves you from purchasing expensive makeup removers and face washes. This single cleansing method can easily take off any impurity or makeup on your skin. The right blend of oil used in OCM can treat any skin problem, starting from excess oil to aging or acne. Your skin might not behave its best as soon as you start with the process. It is most expected to take 1-2 weeks for your skin to adjust with this new process. The process is more time and effort consuming than using a simple facewash. This 45 years old lady had obvious signs of aging on her face. Wrinkles on her forehead, near the eyes and close to the mouth are quite prominent in the first picture. She was using an expensive face wash in her regular cleansing routine before shifting to Oil Cleansing Method. The next picture shows her after a gap of 8 months. She still has visible amount of wrinkles near the mouth and nose. 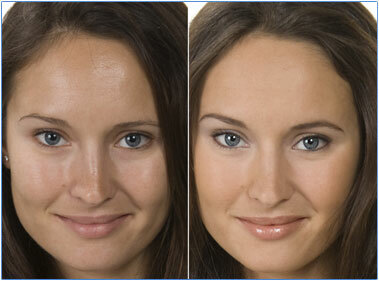 However, significant reduction in the wrinkles of the forehead and that around the eyes can be seen. 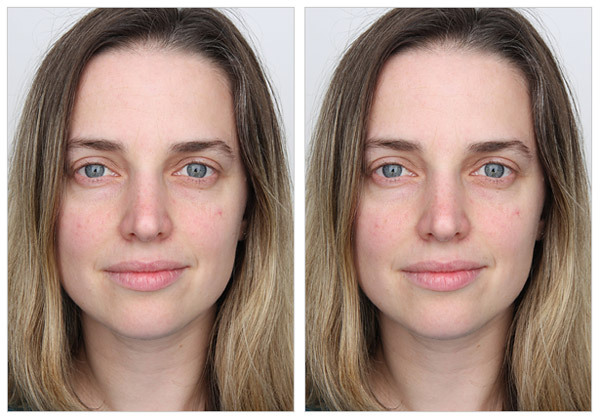 A general skin uplifting effect can also be observed in the second picture. This 32 years old women had the problem of blemishes and wrinkles on her face. The wrinkles near the eyes and the prominent smile lines were giving her a more aged look. She was thinking of opting for cosmetic procedures, but before that she thought to give the OCM a try. After using the Oil Cleansing Method religiously with Castor oil, Argan oil and sweet almond oil for 4 months the blemishes has reduced considerably and the wrinkles around the eyes has vanished more or less. Now she looks younger and fresh all the time. She is thankful to her friend who had suggested her to try out the oil cleansing method. This 35 year old women was suffering from very dry and flaky skin. She was tired after using a lot of skin care products that claimed to treat the skin dryness but were not effective at the end. Finally she started with the oil cleansing method. Along with castor oil she used Avocado oil and olive oil in her OCM oil blend. She started seeing changes in her skin condition within a week. The second picture was taken only after two weeks of starting with the Oil cleansing method and you can see the difference in her skin texture. This 55 years old lady was not really happy with her wrinkling skin. However, she was not interested to go under the knife or to opt for the cosmetic procedures to remove skin wrinkles. After trying some anti-aging products in random, she resorted to the Oil cleansing method. She used Argan oil and evening primrose oil along with castor oil for oil cleansing. She started feeling the difference from the first use. 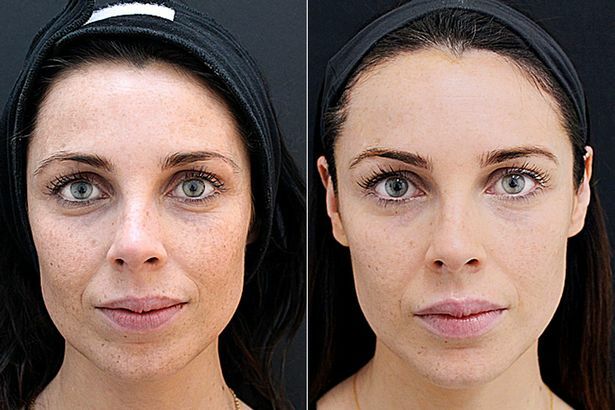 However, it took her long and religious use of the oil cleansing method along with a healthy diet and retinol based creams to reverse the wrinkles. The second picture was taken after one year of the first picture. This 26 year old girl had uneven skin tone and a rough skin texture. She had very sensitive skin and hence she had to be really cautious about what she used on her face. She was not interested to opt for any anti-aging skin treatment, as she was not old enough to develop aging related skin issues. Finally she pointed out that it was her soap based facial cleanser that was making her skin dry, rough and more sensitive. She also realized that her skin was deteriorating quickly. Finally she stopped using her regular face wash and shifted to the oil cleansing method. She used Castor oil with olive oil to cleanse her skin for the next 3 months. The difference in her skin quality and texture is evident from the second picture. This 22 year old girl had a very oily skin. She was tired trying all the ways to control the excess oil. Her face always looked like an oil pan. She was hardly ever able to keep the excess oil in control even for few hours. The primary mistake she was making was of using an alkali based harsh face wash. The face wash was reaping her skin off all the necessary oils, triggering more oil secretion by the skin. At first she was really apprehensive to use the Oil cleansing method but finally she gave it a shot. She noted the difference in her skin condition within a week. After 2 months her problem of oily skin was gone. You can see how her skinned turned to normal from oily in the second picture. 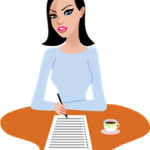 We will end the Guide To The Oil Cleansing Method with a few common questions and their answers. 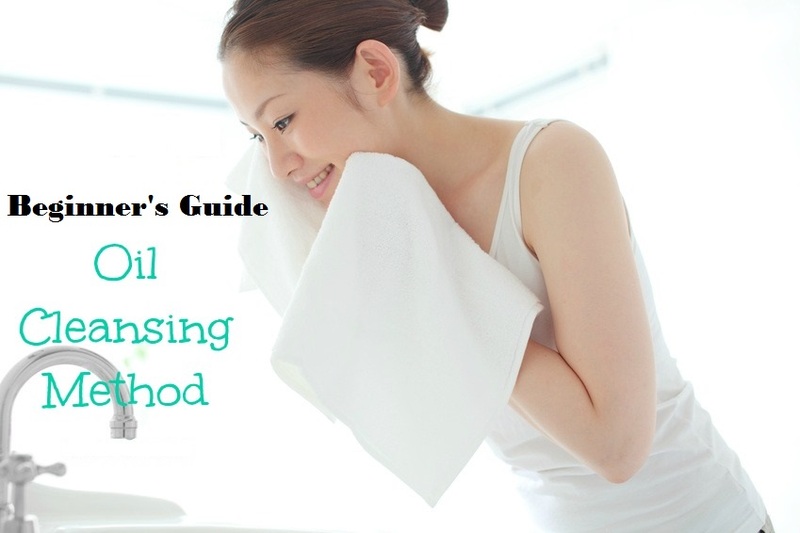 So, that this guide can actually help you adopt the Oil Cleansing Method in your regular skin care routine. Question #1 How frequently should I use oil cleansing? You can use the oil cleansing method two to three times a week depending on your specific skin condition and problems. You can also use the oil cleansing every day to clean your face from makeup and impurities. However, in that case you should use less amount of castor oil in the oil blend. Also do not opt for steaming the skin daily. Question #2 Can I use essential oils in Oil Cleansing? Using essential oils in oil cleansing is often recommended. However, essential oils are very strong and hence you should dilute them to a great extent before including in the Oil cleansing method. So, if you are planning to include some essential oil that suits your skin in the OCM, make sure to not to add more than a drop of it in the oil blend you will be using in a day. Question #3 How quickly I can expect to see results after using OCM? It completely depends on your skin type and problem areas. In order to get the best results from OCM, it is vital that you use the right oil blend. Follow the right process religiously is also vital. Many start seeing the difference within 2 weeks. However, for any significant improvement in your skin condition you need to use it religiously at least for 2-3 months. Question #4 What is the right age to start Oil cleansing? Oil cleansing is a completely natural process. Any one of any age can use this method for deep cleansing the skin. It is an effective alternatuve to the harmful chemical based face cleansers. For tender skin, take more caution while using the steam. Also opt for less castor oil in the OCM oil blend. Otherwise, the process is completely safe even for children. Just make sure that they he/she is not allergic to any of the oils used in the oil blend.